Hi Everyone! It's Lisa here and today I am sharing a shabby chic vintage inspired card created using the beautiful new CottageCutz Heart Rose Wreath die. I cut the shaped card out of white card stock and again in pattern paper. The pattern paper was run through my Cuttlebug with an embossing folder. Also I cut a piece of card stock in a lighter color and embossed it to place under the hearts. 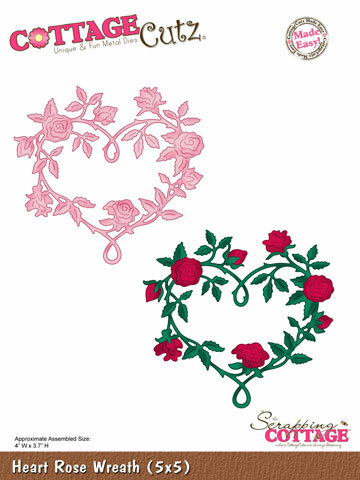 The Heart Rose Wreath was cut in green and pink card stock. 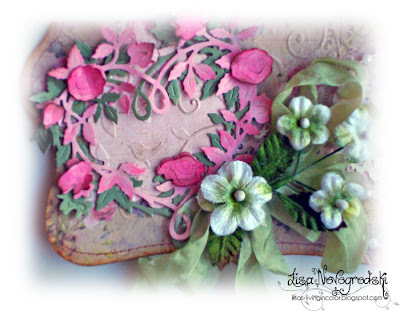 They were layered and the flowers were inked with chalk ink. To finish off my project I dyed some seam binding with Glimmer Mist and topped it off with some florals. I loved working with this die. I can see using this one on cards, altered items, tags and layouts! So many possibilities!!! This is AWESOME! 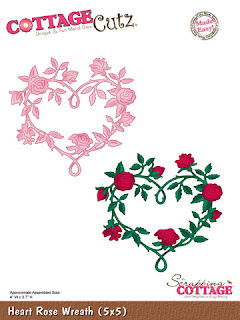 I LOVE the shape of the card, the layers, colors and the rose wreath die. BEAUTIFUL creation! Now this is what I call some Shabby Chic loveliness right there. Love how you distressed the wreath and embossed the card. It's surely a treasure to behold! 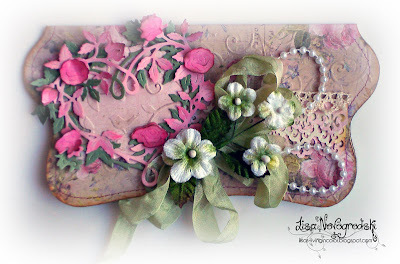 I love shabby :) and your card is beautiful. 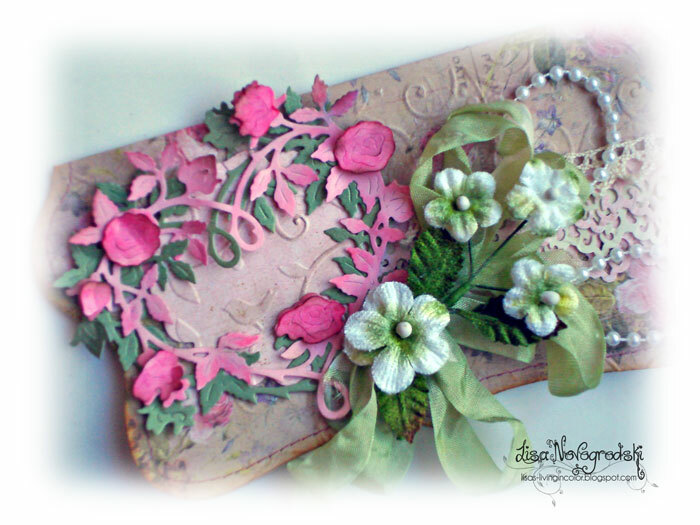 Lisa LOVE your shabby chic/vintage card using the Heart Rose wreath hun!!! Absolutely BEAUTIFUL!!! LOVE the details on this and your colors!!!! What a lovely card! You do beautiful work. Thanks so much for stopping by! Beautiful card! Love the shape of this card!